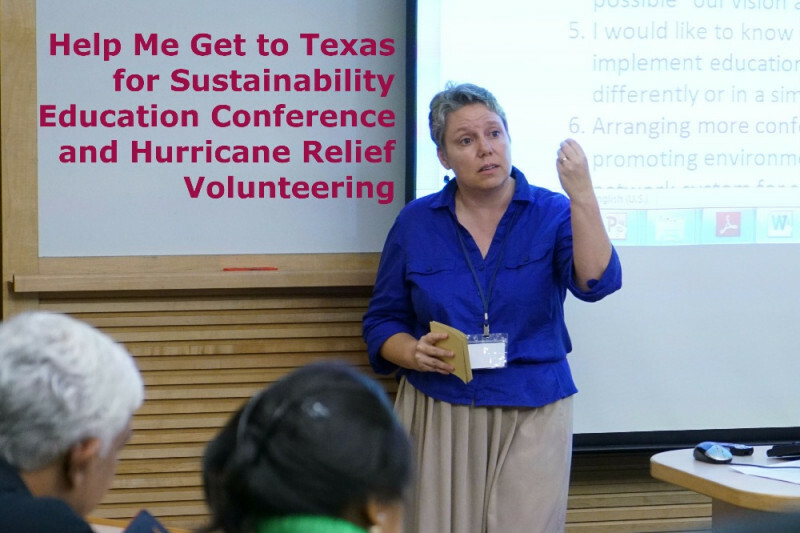 Please help me go to Texas to give a talk at the American Association for Sustainability in Higher Education conference, and do some hurricane relief volunteering! This will be an opportunity for me to promote my book, make contacts to help with my career, and (if I get enough support) also contribute to much needed post-hurricane rebuilding efforts: all of this in service to a more sustainable and resilient future. Thanks for anything you can contribute! Please share this with your friends. Your advice or further ideas is most welcome in the comments below.